Meera is an Associate Solicitor who trained with the firm. She has worked with various London firms prior to joining us. 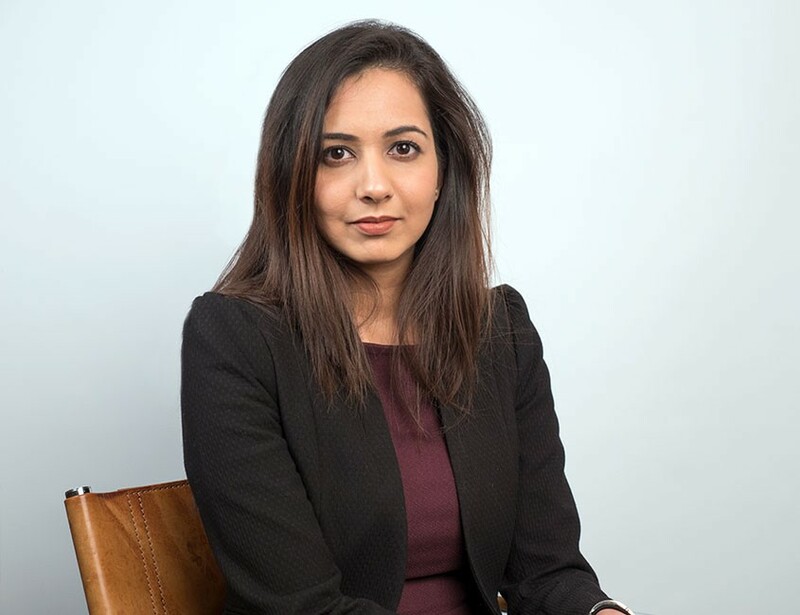 Meera Pankhania is experienced in dispute resolution, repossessions, commercial conveyancing, residential conveyancing and private client (wills, lasting powers of attorney etc). Her friendly and tenacious manner helps her to tackle unique and problematic cases. She can help you to make a claim or defend a claim, resolve a tenancy dispute, regain possession of your property. Equally she can help you buy a property or sell a property, make a will and lasting power of attorney. Repossession claims under Section 8 and Section 21 Notices. Lease renewals pursuant to Landlord and Tenant Act 1954. Residential conveyancing and Commercial property transactions. Sale and purchase of new build developments. Working with standard mortgage lenders, international banks and bridging banks. Working with high net worth individuals and overseas companies. Wills, Trusts, Lasting Powers of Attorney and Deputyship applications. Probate and administration of large estates. Working with international high net worth clients with complex issues. Inheritance Tax assessments and Trust and Estate tax returns. Governing Trust documents for charities. Meera is a keen traveller and has enjoyed exploring South East Asia and now has her sights set on Japan. She spends her spare time rescuing and re-homing stray or unwanted cats and planning her next travel adventure.